tldr; – I am a fan of both mobile phone companies, however at this time (January 23 2019), I feel that Google Fi is the better value. Get a $20 credit here. Read my Republic Wireless / Google Fi review below to find out about the ups-and-downs of both discount mobile phone companies, information about Republic Wireless and Fi compatible phones, see sample bills, and more. If you’re tired of the big U.S. mobile phone companies (aka Sprint, AT&T, Verizon, U.S. Cellular, and T-Mobile), you may want to consider two very strong contenders: Google Fi and Republic Wireless 3.0. 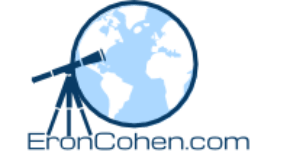 Below is my review and comparison of the two mobile phone service providers. I am a current customer of both Google Fi and Republic Wireless. I have been with Republic Wireless since the beginning and am a more recent Google Fi phone company (formerly Project Fi) customer starting in July 2016. I currently have two mobile phone lines on each service–my wife and I mainly use Google Fi, and my kids are on Republic Wireless phones. At the moment, I’d say Google Fi is the better option – especially because it supports more phones (Android and iPhone) and has additional connectivity options, particularly when traveling internationally (no “roaming” fees in 120 countries). I also prefer Google Fi, because it has built-in security in the form of a virtual private network (VPN) when you’re accessing service via WiFi. Right from the start, I’d like to say that neither Google Fi, nor Republic Wireless are perfect for every mobile user. Take the Google Fi “fit” quiz to find out if Google Project Fi is the right choice based on your current mobile needs. Just answer a few questions about your usage habits and typical location, and it will help you to know if the costs and Google Fi coverage will work for you. Pro Tip: If the Google tool tells you that Fi phone service isn’t right for you, then the Republic Wireless service probably won’t be right either. Service coverage general isn’t an issue for U.S. customers of either carrier, the main question is whether or not you’ll require more than the tipping point of data to make it worth it. In most cases, if you can commit to connecting to WiFi as often as possible, you can make the switch to Fi or Republic worthwhile. BTW, if you decide to go with Google Fi, please use my “refer a friend” code. After you’ve been on the service for 30 days, you’ll get a credit for $20, and so will I! The Google Fi coupon code/promo code is R7T084 or you can just follow this link. BTW, check here for current Project Fi sales and special offers. 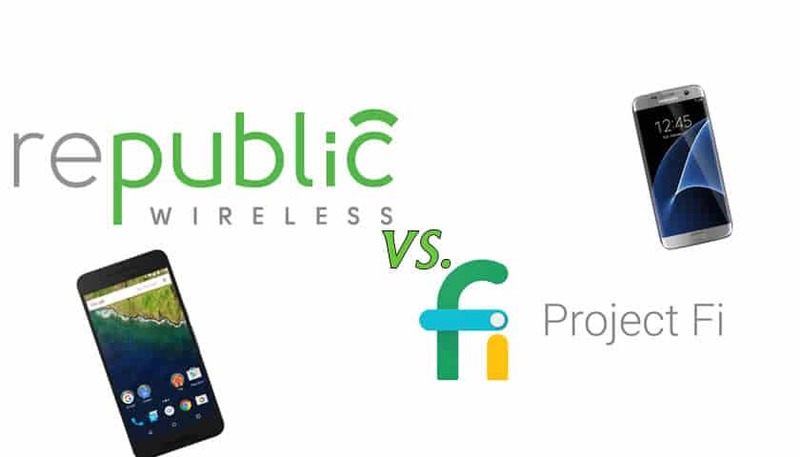 What Do Google Fi and Republic Wireless Have in Common, and What’s Different? Android Phone Support: Both companies offer service on GSM Android-based phones. In general, Google Fi works with most Android phones while Republic Wireless supports a more limited list.Having said that, you’ll want to use a good quality phone with these services. Learn More.There is definitely a list of recommend phones that both support the Pixel 1 and Pixel 2, Moto G4, Moto X4 and LG ThinQ lines. There is also support for certain Samsung and OnePlus (Google Fi only) models. iPhone Support: Google Fi supports iPhones. This is exciting news because it opens the door to cheaper service for all users-not just on Android. Most iPhones should work fine on the service. Google Fi (by way of the Google Store) will take trade-ins for certain phones and give you credit for it to use for your Project Fi bill. Credits range from around $30 to $125. Both companies allow you to make calls and send text messages over WiFi. Both try to save data by connecting you via WiFi when possible. Google Fi has the added advantage of built-in VPN security over WiFi. Both companies are month-to-month, no contracts. Stop service at any time. Google Fi service automatically routes your calls and data on one of three 4G LTE networks, depending on which is best. Republic Wireless is piggybacked on T-Mobile’s network. Both companies offer very competitively priced data plans. The real savings come into play when you use WiFi for calls, texts, and data as much as possible. You are more likely to have better mobile call quality with Project Fi than you are with Republic Wireless, but I have had very few problems with Republic Wireless’ call quality in recent years. If you are placing calls on a decent WiFi network, either provider works great. Both companies offer the option of monthly payments/financing on the phones they sell. Republic Wireless plans start at $15/month and Google Fi’s plans start at $20/month. These are the base prices to keep your line activated and make calls and send texts via WiFi — you’ll be charged more if you use any mobile data. Data on Republic Wireless is cheaper than on Google Fi, however, Google Fi’s billing model is much more flexible since you only pay for the data you use–and you only pay to the penny. In other words, although they quote $10/gig, they only charge you for any fraction you actually use–you don’t have to pay for an entire gig. With Republic Wireless, you will know exactly how much you will be billed at the end of the month based on which plan you select. With Project Fi, you will know the base costs, and then the actual bill depends entirely on how much data you use. Google’s “Bill Protection” feature puts a cap on the monthly charge and amounts to an unlimited plan. Republic Wireless requires you to upgrade your plan when you hit your data limit. You can upgrade and downgrade your plan up to two times per month. This is a bit of a pain. You also must pay for the entirety of the amount of data in the plan you select no matter what portion of the data you use. Republic Wireless does not have a family or group plan, Project Fi has a “group plan’ with very competitive rates, convenient “bill splitting” features if you’re sharing with friends, and data plan sharing. This can be an especially great deal for members of your family who don’t use alot of data…and the bill splitting is very innovative. What’s So Special About These Two Mobile Phone Carriers? Republic Wireless and Google Fi get the best performance with certain pre-selected Android phones. Importantly, Google Fi allows you to use an iPhone, Republic Wireless does not. When you sign up for either of these companies, you’ll either have to bring your own phone (which, in the case of Republic Wireless, will need to on their list of approved phones) or purchase one from the company. The phones they recommend are generally among the higher end phones. If you purchase a phone from either company, it will come “unlocked” — it will be yours to take with you should you ever decide to move to a different phone company. This is good to know as it is often not the case when you buy a phone from other carriers. Likewise, if you buy your own phone (or if you already had one that’s compatible), it will need to be “unlocked” for it to work. If you are purchasing a new phone, just be sure that not only is it a compatible model, but that it is an unlocked phone. If you have a compatible phone that you purchased on a plan through AT&T, for example, it may not be unlocked. You may or may not be able to get AT&T to unlock it for you, depending on your contract. You’ll have to call and ask to be sure. Both Republic Wireless or Google Project Fi will provide you with a SIM card that you’ll need to install to use their service. At the moment (as of November 2018), Google Fi supports most Android phones. Their recommend phones are the Google Pixel (1 – 3), LG ThinQ, Moto G6, certain Samsung phones, OnePlus, iPhone, and the Moto X4. These are venerable phones. 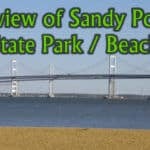 As you may be aware, the Pixel 3 phone is now the flagship phone of the Android operating system and has some fantastic features-I am a HUGE fan of this phone (EXCELLENT camera, fast response, very good all around and perfect for Fi–follow this link and click SHOP to see the discounted Fi customer price). Generally speaking, if you have a Pixel, you’ll get a monthly software update from Google–You will always have the latest release of Android. Again, any of the above-mentioned phones are super-awesome–and also as mentioned, if you go with a Google-brand phone, you are going to get the latest Android updates monthly–truly a nice feature, rather than waiting and hoping that your phone will get an update. The Moto X4 and Moto G6 are also well regarded and certainly have a lower price point than the Pixel phones. Although having said that, you may want to look at the refurbished Pixel phones on Amazon. Along those same lines, you can purchase these phones from Google when you sign up for service, but you should double-check the price on Amazon just to make sure you can’t get a better deal –here are some links to refurbished phones: Google Pixel, and Google Pixel 2. You can finance the phones when purchased on Google or Amazon. Having said that, a compelling reason to purchase the phone from Google is their trade in program that is applicable to certain phone models and includes a Google Fi credit of varying amounts depending on the age and condition of the trade. I have bought several phones through Google Fi’s store and have had good luck that way. It definitely does make it a little bit easier than bringing your own phone. The Google Fi device protection will cost you $5 to $7 per month and covers things like: cracked screens, spills, and device malfunctions. If something goes wrong they will replace your phone with a new or refurbished similar phone. I have used the service once when the battery was failing on my Nexus 5x. It was quickly replaced with a refurbished identically configured phone. There is a deductible to consider. 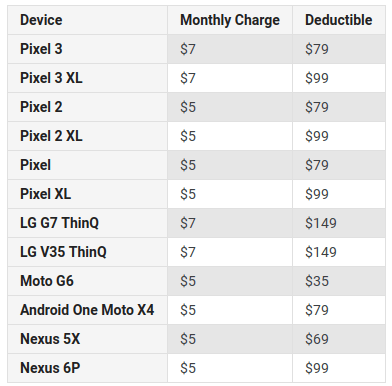 See the table for example costs for device protection and the deductible you’ll have to pay if you get your phone replaced using this service. Note that you can only sign up for device protection if you buy your phone from Google. Google Fi will allow you to add a free additional “data only” SIM card to your account. This will let you share your data plan with another device (without any additional monthly fees!) So for example, you could have your main SIM card in your Nexus phone, and then put the data-only SIM in an iPhone 6. Whatever the device, so long as it’s able to use a compatible SIM card, and it is radio compatible with T-Mobile. You would not be able to use the phone’s dialer with this option and there is no tethering. Republic Wireless is compatible with lots of phones, but they only allow you to use specific models, and there is no iPhone support. Having said that, the list of choices are fairly substantial and that gives you more freedom if you’re bringing your own unlocked phone that is on their short approved list. Below is a list of a few of the phones they are currently compatible with (The model number IS important!). I have included a link to Amazon.com for each phone. You are likely to find the phone cheaper on Amazon than on the Republic Wireless site, in some cases $50-100 cheaper–especially for the Moto G, since Amazon is selling it at a discount, but it includes some relatively innocuous advertising. Moto X4 – Great semi-waterproof phone with a pretty good camera. Moto E4 Plus – Check Amazon’s Price Here – This one has been discounted due to lockscreen ad If you have Amazon Prime, this can be a bargain. There are others that have the same deal, I have noted them below. Alcatel A30 – Check Amazon’s Price Here – Discounted due to lockscreen ads. Moto Z Play Very nice device. Check Amazon’s Price Here. Moto G4 (XT1625) – This phone is available from Amazon.com with (relatively unobtrusive) ads (that can be turned off without very much effort! ), a great deal if you already have Amazon Prime – Check the Price Here. Moto G4 PLUS (XT1644) – Check Amazon’s Price Here. Moto G4 PLAY (XT?) – Check Amazon’s Price Here. If you already have one of the above phones and want to check to make sure it’s compatible, you can just download, install, and run the Republic Wireless app from the Android app store. It will tell you if your phone is compatible. I wouldn’t mind having any of the above phones, but the Google Pixel 2 and the S6 and S7 are my favorites. At this writing Project Fi also offers insurance on the phone, Republic Wireless does not. Insurance is something Republic is said to be working on. One very cool feature of both Republic Wireless and Google Project Fi is the way they can move seamlessly between wireless networks, and they can also place calls/send text on WiFi networks. Both Republic Wireless and Project Fi will allow you to seamlessly switch over to and away from a WiFi connection. This is REALLY handy. Especially if you live in a place where there just isn’t really any strong cellular signal (or if, for example, you work in a basement that has WiFi, but no mobile signals get through). If you place a call, and then move away from your WiFi network, your phone is going to seamlessly jump on to the wireless network, assuming one is available. Google Fi also keeps a database of hundreds of open WiFi networks that it can automatically connect to. When it does, it always uses an encrypted connection to protect your calls and data. It seems to work very well and saves you money. Depending on your situation, you will probably find that you’ll save money using either one of these companies, when you compare them to AT&T, Sprint, or Verizon. 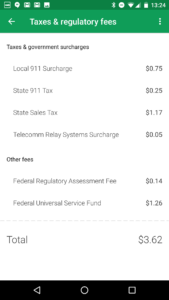 Google Fi Monthly Payment = Base Cost of $20/month + data used & international calls + phone insurance (optional) + taxes, fees (in my case $3.62 in October 2016 for a single line to be exact–see sample bill below). If you’re paying for your phone on a monthly basis, that fee would also be charged on your monthly bill. Google Fi is really a pay-as-you-go offering. They do give you benchmark “data plans” but really, at the end of the month you’re only going to pay for what you actually used as far as data (down to the megabyte). This is a bit hard to grasp, because we’re so used to phone companies that charge you the minimum of your chosen data plan and then charge you for additional data as you go, but in specific large blocks of data. This is not the case with Project Fi. When you sign up for Google Fi, you will “choose a data billing plan,” but really it’s just to give you the idea of what you will be spending each month. That might sound scary, but it works–especially with their bill protection feature. Even though you signed up for a plan, they charge you by the megabyte. To put this more specifically, Google currently charges a base of $20/month to keep the service activated for voice and texting, then they charge $10/gig of data used (plus a monthly fee). In reality though, if you only used 350 megabytes in a month, you would be charge $3.50 for data, not the whole $10. So you are always charged for just what you used, no matter which plan you select. If you really need to have no more than an exact amount of data used, you can use your phone’s “set mobile data limit” features to set a hard limit. This way, when your phone notices you’ve reached a certain data threshold it will shut off its mobile data usage. Pro Tip: I’d recommend the Datally app made by Google to control your data usage in any case. An important, and notable feature of Project Fi is that if you travel to any of 135+ other countries, your data plan will still be in effect–you won’t be charged any extra (beyond the regular $10/gig), and you’ll be able to consume data, just as you did in the USA. I recently traveled to Italy, France, Spain, and Germany with my Project Fi phone and had success with calls, text messages, and data. This is a great feature because you don’t have to worry with purchasing a local SIM card or anything like that. Once I got to a new country, it took a few minutes, but I’d get a message from Google Fi confirming my phone had been registered in the given country, and then I could make calls, send texts, and use data. For more details and to see the list of countries that are in Project Fi’s plan, click here. Note that although your data costs will be the same as they are in the USA, expect to pay 20 cents per minute for calls. Assuming you have a US phone number, WiFi calls within the USA and abroad would be free, and beyond that, if you’re calling another country, the same international calling rates would apply. If you are wondering, yes, you can send text messages to other countries from Google Fi phones–I have texted to Germany and Ukraine without problems. Again, when you’re traveling to other countries you can send unlimited text messages for free. This is really helpful! Google Fi offers a group plan/family plan. Each additional line above the initial primary line is $15/month, and then the data is shared at the same rates mentioned above. One great feature of this group/family plan is the “repay” feature. “Fi plan members can repay group plan owners for their share of the monthly bill directly through the Google Fi app. No need to pull out your calculator—Project Fi will handle the math. Reminders, payments, and tracking are all just as simple.” That means it’s a bit easier if you’re sharing an account with friends or roommates, everyone can easily pay their share of the wireless bill. Republic Wireless has a base cost of /month. This base cost includes no data, and doesn’t include things like taxes and fees, phone payment plan, etc. But if you own the phone outright, that is a great starting point. For college students who are near ubiquitous WiFi, that could truly be all you need. Plans go up from there. Most people will need a data plan, and with Republic Wireless, you get 1 gig included for $20/month. Not bad. Here is a chart (as of 8/6/2016) that shows how the rates increase with more data. You will find these rates turn out to be lower cost than Google Project Fi. See below for a direct comparison. Republic Wireless allows you to switch plans via their app whenever you want, so if you hit your limit or need to cut back, you can do that at will. It is important to understand that unlike with Project Fi, you can’t just keep using data beyond your selected plan. The data will stop when you hit your data plan limit. At that point you can upgrade to a higher plan through the Republic Wireless app, and you will immediately have more data at your disposal. On the other hand, if you then want to downgrade again, you can request it, but it doesn’t take place until the beginning of the next billing cycle. (I think you can just do this immediately after you upgrade, so you won’t have to wait an extra billing cycle to switch back down). With Republic Wireless, you still get billed for the entire amount of your data plan, even if you don’t use it. In short, although there are some nuances to this, Google Project Fi is slightly more expensive than Republic Wireless. It really depends on how you intend to use the service which of the two would be better. Republic Wireless: Depends on the amount of data. All plans already include unlimited voice & texting: 1 gig $20; 2 gigs $25; 3 gigs $30, etc. (as of 8/6/2016). You DO have to pay for unused data. Google Project Fi: Base Cost of $20 PLUS the data costs (but only for the exact amount of data you use): $10/gig. So a one gig plan would be $30/month; 2 gig plan would $40/month, etc. +taxes, fees, etc. I am in Maryland, and I paid $3.62 in taxes and fees on my October bill (see below). You can’t go wrong with either of these phone companies. Both offer great service and operate with very decent phones. Google Fi has the power of additional phone networks, encrypted WiFi, international data, phone replacement insurance/device protection, etc, but Republic Wireless gets the job done at slightly lower costs. Since there are no contracts with either company, you can leave and take your phone with you at any time — you just have to finish paying for the current month and you’re done. Like what you read? See my review of the Vitamix 5200 blender and my list of gift ideas for Brainy / Gifted kids.